Got a sweet tooth? 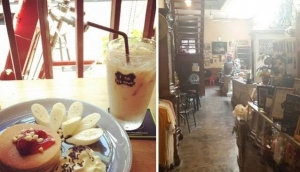 Bakeries and patisseries in the Phuket area owned by expats from various nationalities prepare breads and eye-catching sweet treats perfect for that relaxing afternoon coffee or decadent after-dinner dessert. If it's a specialty bread for a sandwich, pastries to satisfy a craving, a birthday cake or decadent mouth-watering chocolates, bakeries in Phuket can cater to your needs. In addition to a relaxing cup of coffee, many bakeries and cafés serve light meals up to full course dinners.